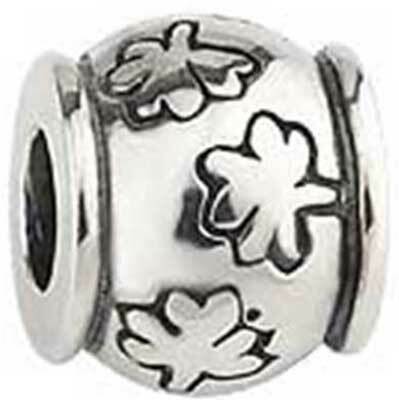 Sterling silver Irish charm features engraved shamrocks. This sterling silver shamrock charm features an engraved design with oxidized accents. The shamrock bead measures 3/8" wide. Sterling silver shamrock charm bead features oxidized accenting.